The original Hadley Rille Books imprint of EOLYN, featuring cover art by Jesse Smolover, will soon be replaced by a second edition. Thomas Vandenberg, who did the cover art for High Maga, has started on a new work depicting a scene from my first novel, Eolyn. I wish I could share the preliminary sketch with you, but a premature unveiling would be unfair. So let me just say: It’s phenomenal. My plan is to use this artwork for a second edition of the novel. Don’t worry, Eolyn purists, I will respect the story you’ve come to love! The second edition will not have any major overhauls. But it is time to go in and clean up a few things. For example, there are some anachronisms that I was too inexperienced to catch the first time around. And I’ve had it in my head for a long time to rework the opening chapters with an eye toward improving the pacing. Most of all, a bit of dusting off and cleaning and polishing here and there never hurts. Also, I want to update the electronic edition with chapter headings and other features that have become popular in the years since Eolyn was first released. I started going through the opening chapters this past weekend, and have already made changes that I’m excited about, and that I hope will meet with the approval of my writers group, critique partners, and most of all, my readers. 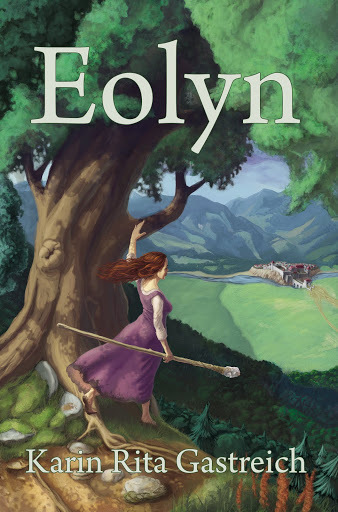 The revamping of Eolyn is a natural consequence of the upcoming release of Daughter of Aithne. As many of you are aware, my first book was written as a stand-alone, with no concrete vision or real strategy for the development of a trilogy. Not necessarily an error in my mind, but now that the reality of Eolyn’s journey has changed – encompassing three full volumes that are closely related to each other – the task of marketing her journey must be adjusted accordingly. I still don’t have dates set, either for the relaunch of Eolyn or the launch of Daughter of Aithne. But from here to the end of the year, there will be some big news regarding both, so please stay tuned. In the meantime, be aware that the original Hadley Rille Books imprint of Eolyn, featuring the lovely cover art of Jesse Smolover, will not be around for much longer. If you’ve ever considered gifting this edition to a friend, or would like a print copy for your own shelf, now is the time to purchase it. 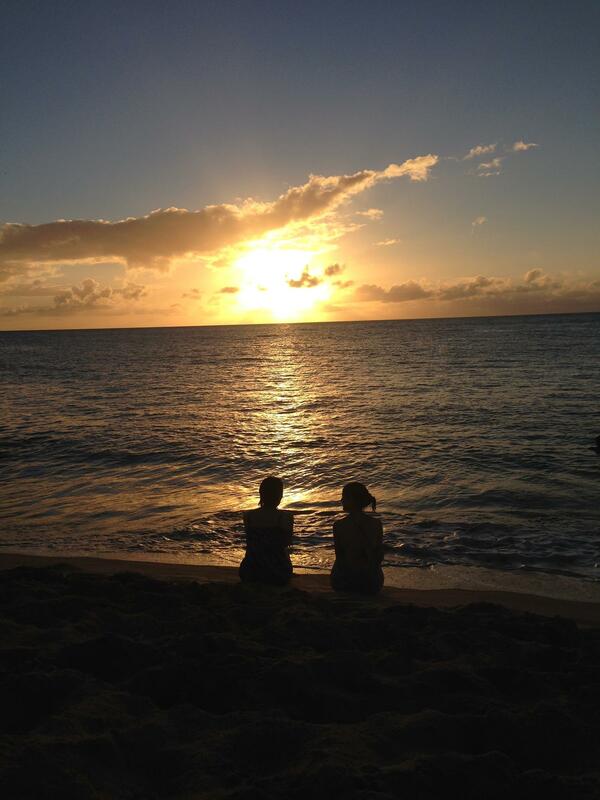 Sunset on the north shore of Oahu. Photo by Julie Anne Duay. Last week, I was at a conference in Hawaii that kept me away from the internet. Hence, no posts until now. This week, I’ll be starting a 10-day road trip to the Badlands, the Black Hills, and Yellowstone National Park. Once again, internet access may be unreliable. Still, I’d like to share some of that trip with you (and it’ll be vacation, not a conference), so I’ll try to post as often as I can while we’re on the road. I also have some guest authors scheduled for the coming weeks. Jamie Marchant will be here on July 29 to talk about her new novel, The Soul Stone. (What a great title!) After that, look for sister-at-Hadley Rille Books, Vanessa MacLellan, who will be debuting her historical fantasy Three Great Lies in early August. Three Great Lies is set in ancient Egypt, and also features cover art by Thomas Vandenberg. Wow. I just realized that after that, summer will be almost over. Enjoy the Badlands–such a cool name. I’ve always loved it. Like the Pine Barrens in NJ. So badass. As you wish, Sparkle Queen!